Over the last few years Netflix has been growing by leaps and bounds as more and more people subscribe to it for all the great content they can stream. Whether it is TV shows, movies or anything else that you’re interested in, having access to Netflix will give you a huge selection from which you can pick and choose what to watch. The one small drawback is that because the content from Netflix is all streamed – you need to be online and constantly connected to the internet to watch it. There is no option that will allow you to ‘save’ the videos that you want to watch so that you can view them later on at your convenience (and possibly without an internet connection). To get around this problem is easy enough however with the Movavi Screen Capture Studio. Being a powerful and capable screen capture software it will allow you to watch Netflix offline by recording the videos while they’re playing and saving them on your hard drive. Setting up the software to record the area where the video is playing is easy enough, and you’ll be good to go in just a couple of clicks. Once you’re done you can save the video quickly and conveniently while optimizing it at the same time with the help of the hundreds of presets that are available. Part of what makes it so easy to save Netflix videos with the Movavi Screen Capture Studio is the fact that it is so intuitive and straightforward. Setting up the capture parameters is simply a case of selecting the region to record by resizing the window that is available as well as choosing the frame rate and audio source. Cut the videos that you record into segments to remove unwanted parts or even extract highlights or combine videos. Insert audio tracks if you want to add background music, voiceovers, or any other audio to the videos that you record. Enhance the quality of your videos and correct common issues such as blurry, shaky, or interlaced video segments. Utilize special effects and filters to alter the visual appearance of your videos and give them a unique look. Add customizable text as captions, titles, subtitles or watermarks. 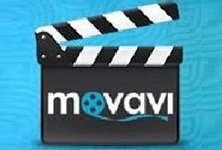 The short version is that the Movavi Screen Capture Studio will allow you to record your Netflix videos without breaking a sweat, and will even hand you the tools to edit, enhance and manipulate your videos as and how you see fit. In fact you could even use it to create professional looking videos of your own – if you want to.